Origin of the word teleport. 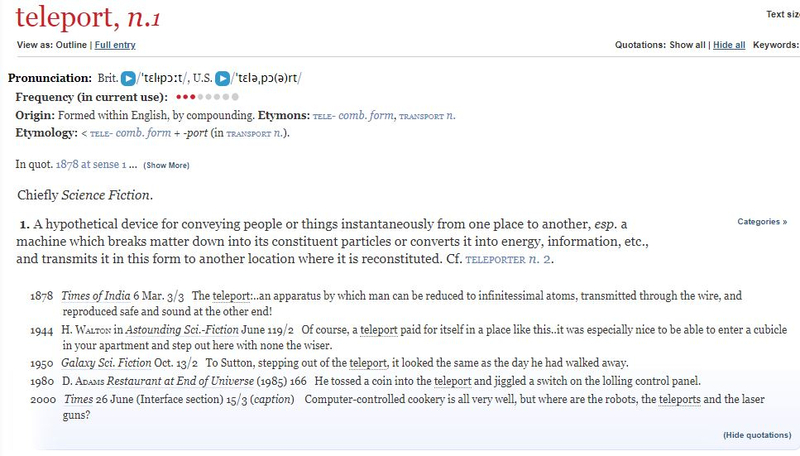 The Oxford English Dictionary gives this as the origin of the word teleport: 1950s: back-formation from teleportation ( 1930s), from tele- ‘at a distance’ + a shortened form of transportation. However, the Wikipedia article on teleportation gives a link to an Australian Government database of old newspapers that has an article from the June 28, 1878 issue of the Capricornian that uses the word teleport. I know that Wikipedia isn’t a trusted source, but I think that this newspaper database would be. It's the same quotation, though different newspaper (possibly the newspaper the Capricornian is quoting? ), but well found!